I would like to find out if there is any certification program for the Nuxeo professionals available. If someone has such a certificate, I would like to know where can the exam(s) be taken. 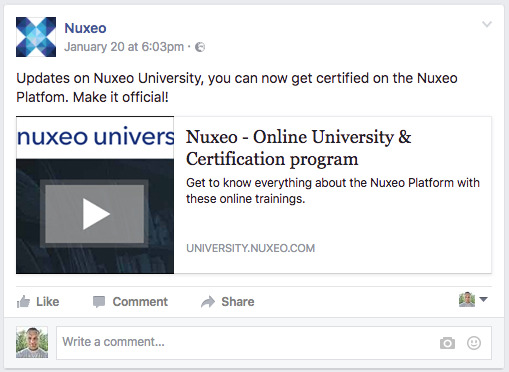 Hi Gabriel, You can access to the certification program for free in https://university.nuxeo.com. More details are available here : https://university.nuxeo.com/store/about Have a nice day !